Can I bring my scale in and have it certified? We would be happy to have you visit us. Stop in and say hello and visit the IGFA Headquarters while your scale is being tested. It takes approximately 10-15 minutes and we are available Monday through Friday from 9 am - 4:30 pm with the exception of holidays. We recommend calling ahead of time to schedule your scale certification to ensure that staff are available. The IGFA will examine scales weighing up to 100 lbs for members at a cost of $40.00. This fee includes return shipment by regular parcel post. If the member would like to have the scale tracked, insured, or returned within a shorter period of time, we recommend that they send a UPS, DHL or FedEx label or an account number along with the scale. 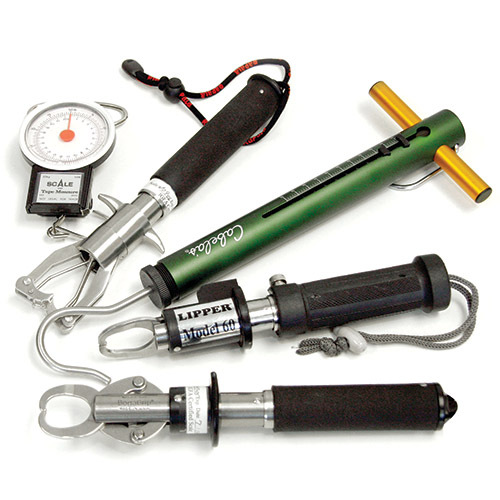 Each scale is tested for accuracy by using certified, traceable weights. IGFA policy dictates that scales may not be off by more than one increment. For example, a 15-pound hand-scale that weighs in 4 oz increments may not be off by more than 4 oz.